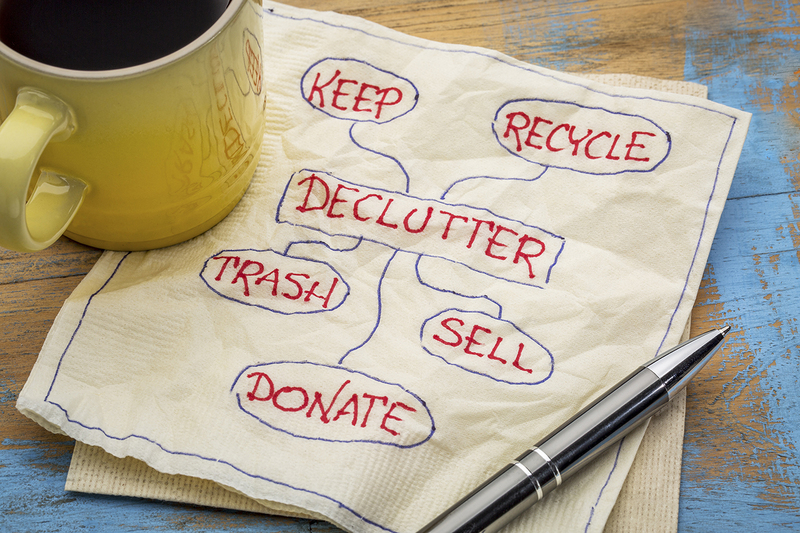 Stop making excuses and clean up the clutter in your home! It’ll make you feel better and make your living space look better as well! Ask yourself these questions and get rid of your items based on your answers. And when we say dispose of your clutter, we mean either sell it, donate it, recycle it, give it away to friends and family, or throw it away. If your answer is no, it’s time to toss. If the current you wouldn’t buy this item now, why would you even keep it? 3. Is the only thing that’s keeping me from disposing this item that I don’t want to waste money? Think of it this way: you wasted money when you bought an item you don’t use. Remember, don’t lie to yourself about how perfect an item would be for Halloween. Make sure you have a concrete plan to use the item, and if you don’t use it within the time frame you set for yourself to use it, then toss it. Fix it now, or if you don’t get around to fixing in the next two weeks, then toss it.